ROCHESTER (WXXI) - Engineering researchers at RIT say they're working on a “wire revolution” that could have implications for the military in the near term and possibly for consumers in a few years. A team at the Kate Gleason College of Engineering has won a $1 million dollar grant from the Department of Energy to develop more efficient, durable, and cost-effective carbon nanotube technology that could one day replace traditional copper wiring used in electronic components and systems. Brian Landi, associate professor of chemical engineering and principal investigator on the project, says carbon-based wires have already been proven to have a number of advantages over copper wires. "They have extreme flexure tolerance so you can bend them hundreds of thousands of times and we haven't seen them break. They are also corrosion resistant because they're based of carbon materials so it has a more stable potential against salt water and things like that." The flexibility and heat resistance of carbon-based wires could impact the longevity of today’s electrical devices, but the first application would likely be for military vehicles from spacecraft to aircraft and drones. That’s why the U.S. Naval Research Laboratory is a partner in the study. The potential cost savings from the use of the new technology would be based on the fact that carbon wiring, while larger in diameter than metallic wiring, weighs less. That would translate into fuel and cost savings over time. But first, researchers have to find a way to create affordable, carbon-based wiring that has the same potential to conduct electricity as metal wiring. 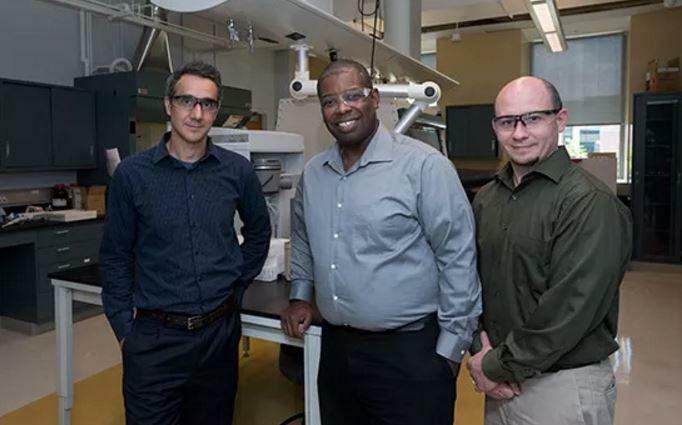 In the past ten years, the RIT team has developed some of the highest conductivity carbon-based wires to date, but Landi explained that there is still work to be done to get to the final point where carbon technology can compete with copper in terms of conductivity. Carbon technology also can’t compete with metal wiring when it comes to cost. Landi says that’s because there aren’t many producers of the product yet, aside from industry leaders Nanocomp Technologies and Minnesota Wire, which are also partnering in the study. On the consumer side, Landi says carbon wiring could be used in electric vehicles in a few years. "Because given the savings you would have with a carbon-based wire it would require less electrical energy to move the vehicle if you're shedding mass from the vehicle itself."